Why do the Windows gamers get all the fun? Valve probably never considered about giving the Mac version of Steam a taskbar (or menubar) icon like what they did for the Windows version. This also could be because Windows is a much more popular platform. Now Mac gamers no longer have to be jealous. 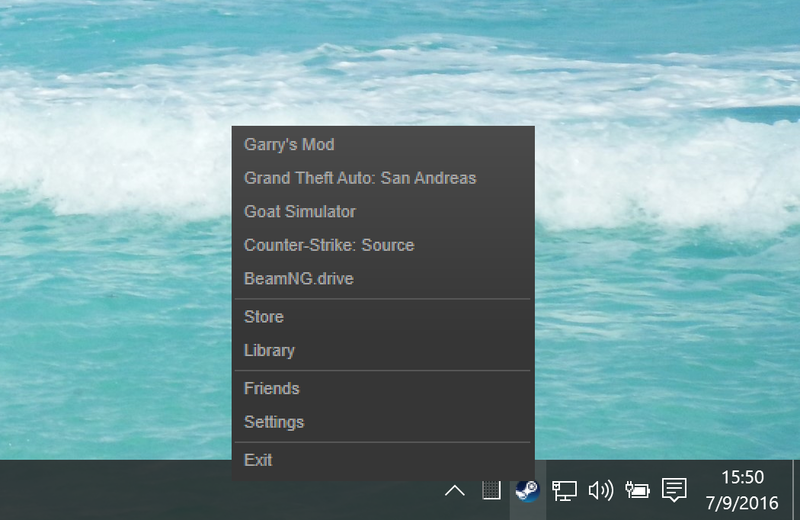 I actually use the taskbar icon whenever I play a Windows game, and I noticed that the Mac version of Steam never had one. So I decided to create one for Mac gamers, like myself. 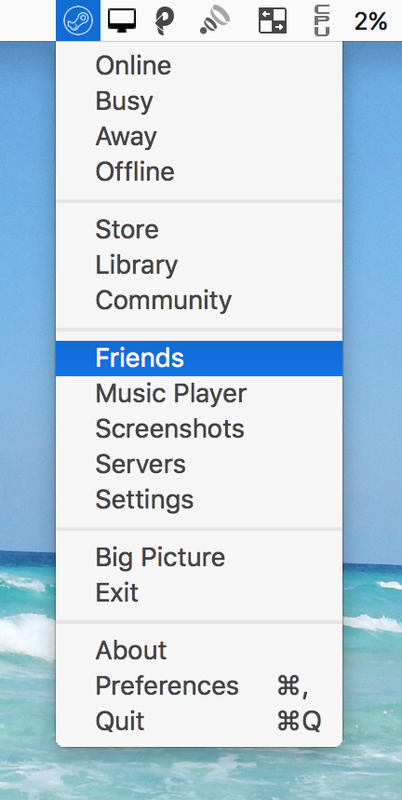 Plus, Steam Menubar offers more features. Click the link above to go to the downloads page. Steam is a registered trademarks of Valve Co. However, I own Steam Menubar and all of its source code, content, and rights.